Received my Deep Blue deep sea diver today and it is above expectations. Had a bit of a difficult start since the wrong watch was shipped form the USA, however this was solved at no cost, it only took some additional days. So first impression is very well! A pleasure to do business with transaction was smooth and painless, a small problem with courier but communication was great and everything sorted quickly. After a delay of serveral days of custom check the watch arrived in Italy. The watch was well packed in a plastic container box. I really like the watch. Great service on email. I can surely advise this webshop. I got an email on every stage of the process, so I was well informed. I will definately buy another watch of Deep Blue soon! 10 giorni per avere il DAYNIGHT MIL T100 TRITIUM FLAT TUBES- BLACK DIAL- che è arrivato con DHL in un sicuro imballaggio e senza spese aggiuntive ( cosa che ultimamente sta succedendo spesso nonostante sim scelgano siti nella comunità europea) l'ho scelto con il cinturino in silicone. Sembra un ottimo orologio, la luminescenza è incredibile, al livello del luminox- ha un peso contenuto e una buona leggibilità. Unico ma trascurabile neo l'orribile scatoletta in plastica blu in cui viene custodito l'orologio. Nulla da eccepire al bravissimo venditore speriamo che con il tempo non vengano fuori imprecisioni o difetti. 10 days to have the DAYNIGHT MIL T100 TRITIUM FLAT TUBES- BLACK DIAL- which arrived with DHL in a safe packing and without additional charges (something that is often happening in spite of choosing sites in the European community) I chose it with the strap in silicon. It looks like a great watch, the luminescence is incredible, at the level of the luminox- it has a low weight and good readability. Unique but negligible neo the horrible little blue plastic box in which the watch is kept. Nothing to complain to the very good seller, we hope that over time there will be no inaccuracies or faults. CIAO, IO NON SONO UN SUB . L'OROLOGIO E' ARRIVATO DOPO DIVERSI GIORNI CON DHL , IMBALLO PERFETTO . SCATOLA ORIGINALE PERFETTA E CONTENITORE PLASTICO MOLTO BELLO . CONSIGLIO DEEP BLUE SHOP EUROPA !! L OROLOGIO CHE HO ACQUISTATO E' UN "MIL OPS T100 AUTOMATICO, CON DIAL CERAMICO NERO" E ILLUMINAZIONE PROPRIA AL TRIZIO (che non lascerò mai più ). OROLOGIO DI GRANDE PREGIO E FINITURA , DI GRANDI DIMENSIONI SIA IN DIAMETRO CHE IN SPESSORE , MOLTO PESANTE !! IL QUADRANTE E' MOLTO AMPIO E LUMINOSO, IL BRACCIALE PESANTE IN ACCIAIO E FANTASTICO CON CHIUSURA IN DOPPIA SICUREZZA . VERAMERNTE BELLO OLTRE LE MIE ASPETTATIVE . FANTASTICO COMPRATELO . !!! THE WATCH HAS ARRIVED AFTER DIFFERENT DAYS WITH DHL, PERFECT PACKAGING. PERFECT ORIGINAL BOX AND VERY NICE PLASTIC CONTAINER. 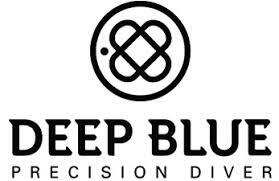 COUNCIL DEEP BLUE SHOP EUROPE !! THE WATCH I PURCHASED IS A "MIL OPS T100 AUTOMATIC, WITH BLACK CERAMIC DIAL" AND ILLUMINATION OWN TO TRIZIO (which I will never leave again). GREAT FINISH WATCH, BIG DIMENSIONS BOTH IN DIAMETER AND THICKNESS, VERY HEAVY !! THE DIAL IS VERY LARGE AND LUMINOUS, THE HEAVY BRACELET IN STEEL AND FANTASTIC WITH DOUBLE SECURITY CLOSING. BEAUTIFUL VIEW BEYOND MY EXPECTATIONS. FANTASTIC BUY IT. !!! Thanks for your advise man! Really happy with the Deep Blue! It won't be the only one!